I started playing guitar when I was sixteen. A lot of my friends knew how to play, so it was only natural for me to want to learn as well. A friend of mine taught me how to play the chords I needed to know to play House Of The Rising Sun. That was the first song I learned how to play. After that, I learned more on my own. The first concert I ever went to was in the Summer of 1976. My friends and I saw Peter Frampton, Gary Wright and Yes. I have a Breedlove 12 string acoustic guitar with a built in pickup, a Yamaha 12 string acoustic guitar and a Gibson 6 string acoustic guitar. I like my Breedlove 12 string the best. The Beatles were my biggest influence growing up.When they came out, no one else was like them. They created great melodies and I really liked their harmonies and overall sound. They had a lot of variety as well. I've been in bands over the years, but I'm not in one right now. I've been in rock bands, folk groups and oldies bands. Right now, I either play solo or team up with other musicians and friends at places that have open mike nights. I also enjoy writing and performing my own songs. I think it would be great to jam with Paul McCartney. Glenn Basham hasn't uploaded any pics yet. 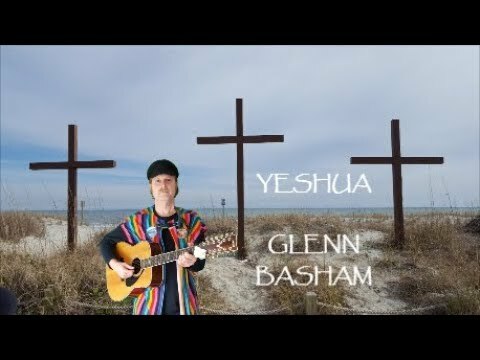 Yeshua - Glenn Basham Here is another original song from my archives called "Yeshua", which is a Hebrew name for Jesus. This song is a "bluesy" spiritual song about Jesus that I composed back in 1988. It was a part of my collection of originals called "In Search Of The Tree Of Life" I created years ago. I decided that now was a good time to make a video for it, considering that Easter is coming soon. I included bits of film footage from "Jesus de Nazareth"_teaser official by Beverly Hills Entertainment and "bbc - miracles of Jesus", both courtesy of Vimeo.com. Happy Spring to everyone and Happy Easter to all those who celebrate it! Thanks for watching and listening. 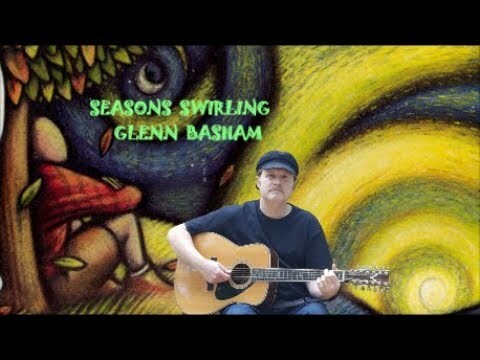 Seasons Swirling - Glenn Basham Here is another original song from my archives that I recorded back in 2010. I decided that it was time to create a video for it. Here it is. Hope you enjoy it. Thanks for your support! 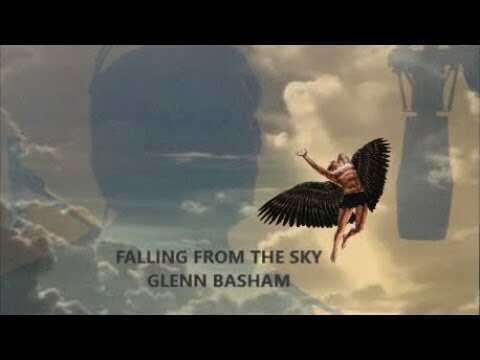 Falling From The Sky - Glenn Basham Here is a song from my archives that I composed back in 1989. It is called "Falling From The Sky" and it is probably one of the strangest songs I ever wrote. The song is about the third of the angels in Heaven and how they rebelled and were cast out of Heaven. This is rather unusual subject matter for me and is a different and dark direction for me as well. Obviously, the tune that I created had to reflect this strangeness as well. Time went on before I created a decent recording of it. In 2007, I finally did this recording of it, which was a year after I received my multi track recorder. I was able to experiment with sound and I tried to create sounds that would express the idea of "falling". Recently, I decided to create this strange video for it. Here is how it turned out. 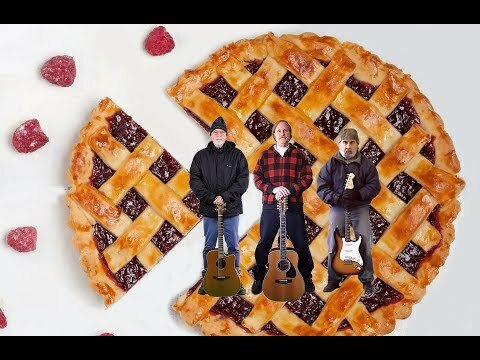 Another Slice Of Pie - Zapple Pie (Yvalain Debodinance, Mark Taylor and Glenn Basham) Zapple Pie is back with another slice of music. This song was composed by Yvalain with Glenn on vocals, Mark on lead guitar and Yvalain on bass, acoustic guitar, electric guitar and arrangements. The audio was produced by Yvalain and the video was produced by Glenn. From our album "Destination Peace" that is available online on every known digital store and free streaming services such as Spotify or Deezer. Thank you for your support. 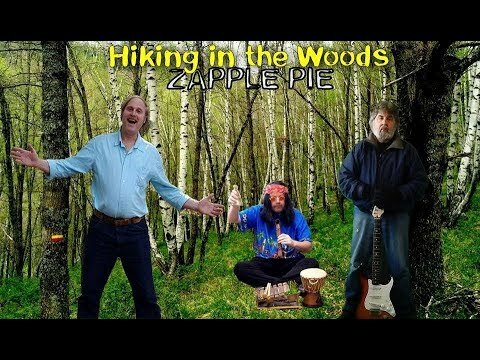 Hiking In The Woods - Zapple Pie (Yvalain Debodinance, Mark Taylor and Glenn Basham) Zapple Pie is back with a new song written by Mark Taylor (music) and Yvalain Debodinance (words). Glenn does the vocals, Mark is on lead guitar and Yvalain is on bass, acoustic guitar, percussion and production. Glenn put the video together using photos and photo collages both created by Glenn and Yvalain and also added some hiking film footage of Switzerland, courtesy of Vimeo.com All Zapple Pie original works are available on digital stores and free streaming services. Search "Zapple Pie" on Spotify, Deezer, Amazon Music, Google Play, Apple Music/iTunes, Tidal and more. Thanks for your support. 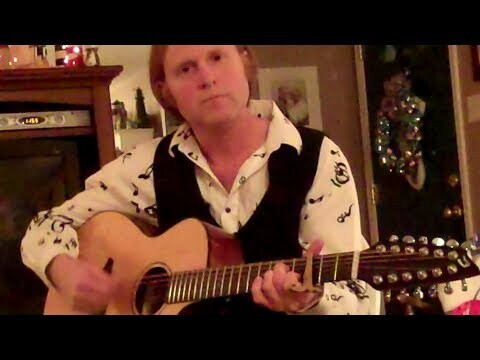 Don't Wanna Grow Old - Glenn Basham I am back with another song from my archives. I composed and recorded this one back in 2009. I finally decided to make this video for it. The tune has an old fashioned 50s rock and roll vibe. The words are about someone not wanting to grow older and the things that one goes through as they get older and their attempts to stay young. Maybe some of you, like me, can relate to it. 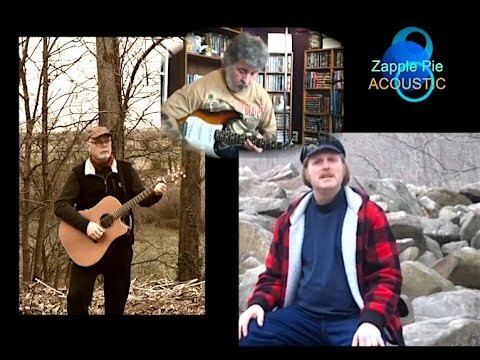 Misty Moon - Zapple Pie (Glenn Basham, Yvalain Debodinance and Mark Taylor) Zapple Pie is back with their first song for 2019! "Misty Moon" was composed by Glenn Basham and the song was recorded by Zapple Pie. Mark Taylor plays lead guitar, Glenn does the vocals and Yvalain plays the bass and all other instruments. Yvalain produced the final audio mix and Glenn created the video. We hope you enjoy it. Thanks for stopping by. Tie Dyed Dreams - Glenn Basham Hi everyone! Here is another original from my archives. It's called "Tie-Dyed Dreams" and it is a tribute to Woodstock and the Woodstock generation. It was composed and recorded back in 2011. 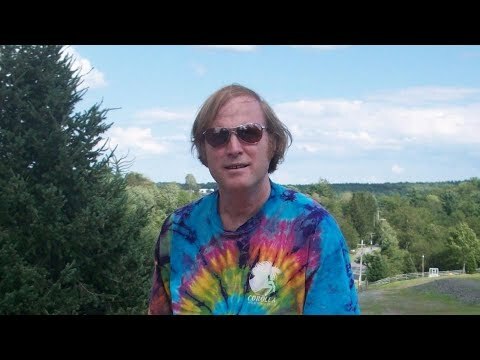 The 50th anniversary of Woodstock is happening this summer in August, so I was inspired to create this slide show music video for my song. I hope this year's festival is successful filled with peace, love and music. Nobody Wants To Hear Love Songs Anymore - Glenn Basham Welcome to 2019! I decided to start the year off by diving into my archives and pulling out another original song from my past. Here is a song that I composed and recorded back in 2011. I decided to make a quick video for it so that I could post it. The song is called "Nobody Wants To Hear Love Songs Anymore". I got the idea for the song when I was performing at an "open mike nite" at a local bar. I played a love ballad and someone told me to only play fast songs, because "nobody wants to hear love songs anymore". So I played rockers for the rest of the night. Later, when I got home, I composed this song! I hope that some of you still like love songs! Ha ha! Thanks for listening. 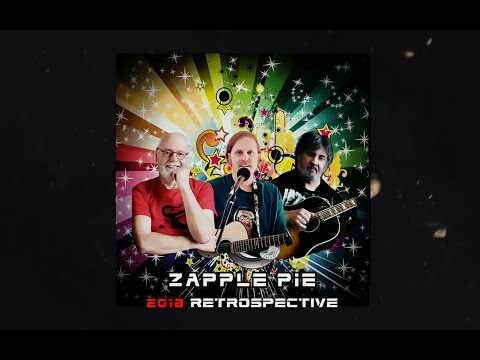 2018 Retrospective - Zapple Pie Glenn, Mark and Yvalain look back on all the music created by Zapple Pie in 2018. 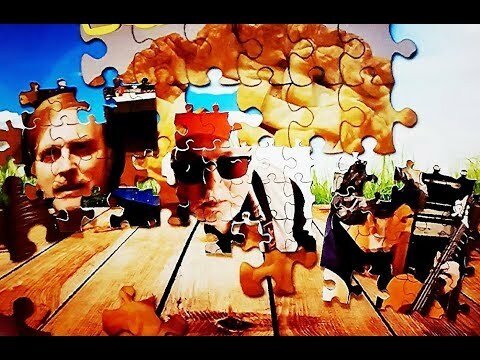 The music you hear in this video is an unreleased instrumental version of Glenn's "Making Sparrows Out Of Clay" which features Juha Hintikka as a special guest playing saxophone with the band on all other instruments. Happy New Year to everyone from Zapple Pie! 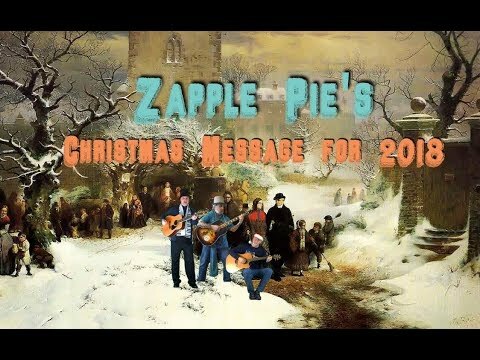 Zapple Pie's Christmas Message for 2018 - Zapple Pie It's that time of year again. 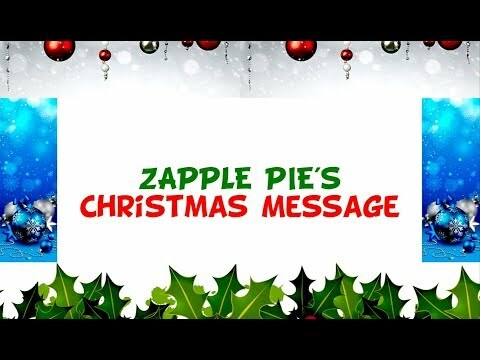 Time for Zapple Pie's Christmas message for 2018. Mark, Yvalain and Glenn want to thank everyone for listening and supporting Zapple Pie! Merry Christmas and Happy New Year from the three of us! We are looking forward to creating more music in the year ahead! Wishing everyone all the best in 2019! Childlike Wonder - Zapple Pie (Glenn Basham, Yvalain Debodinance and Mark Taylor) Zapple Pie is back with another original Christmas song. 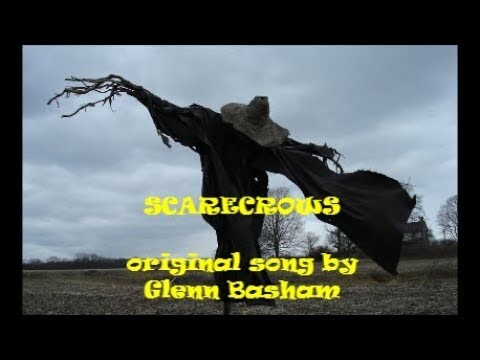 This song was composed by Glenn Basham. Mark plays lead guitar, Glenn does the vocals and Yvalain plays guitar, bass, zither, organ synth and percussions. The final audio mix and video were produced by Yvalain. Zapple Pie wishes everyone a Merry Christmas! 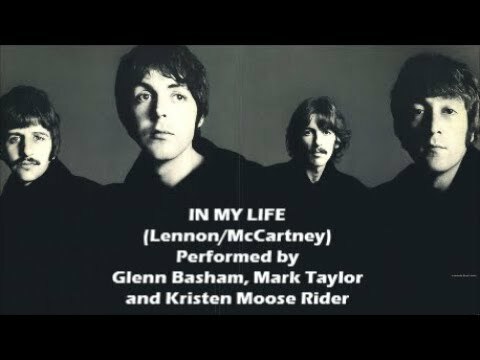 In My Life - (Beatles cover) Glenn Basham, Mark Taylor and Kristen Rider Mark and I are back with our rendition of another Beatles song. Kristen joins us with her piano on this one! Have a great day, everyone and thanks for listening! 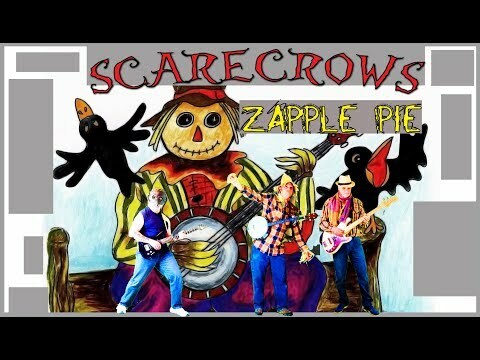 Scarecrows - Zapple Pie (Glenn Basham, Yvalain Debodinance and Mark Taylor) We are back with a slice of Halloween pie! This song was composed by Glenn. Glenn does the vocals on this one, Mark plays lead guitar and Yvalain plays bass, acoustic guitars and drums programming. The audio and video were produced by Yvalain. Happy Halloween to everyone from Zapple Pie! 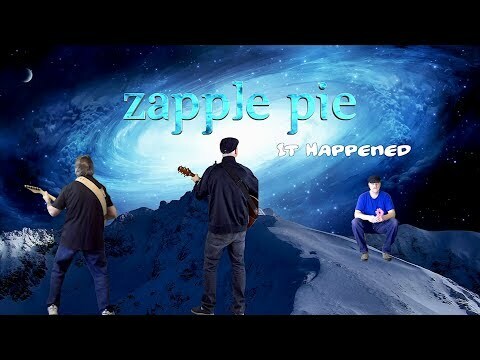 It Happened - Zapple Pie (Yvalain Debodinance, Glenn Basham and Mark Taylor) Zapple Pie is back with their latest piece of "cosmic" pie! This song is an original composed by Yvalain! We hope you enjoy our song and "out of this world" video! Thanks for watching! 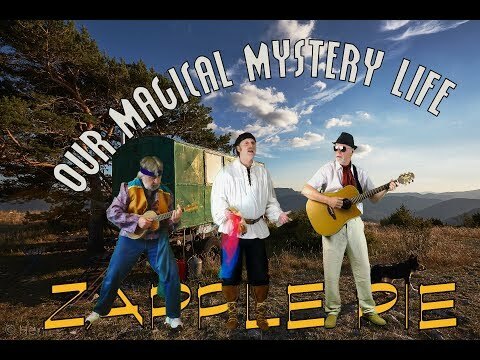 Our Magical Mystery Life - Zapple Pie (Mark Taylor, Yvalain Debodinance and Glenn Basham) Zapple Pie is back with a new original song co-written by all three of us. Mark and Yvalain composed the music and Glenn created the lyrics. We hope you enjoy our latest slice of music all about the gypsy life. Thanks for listening! 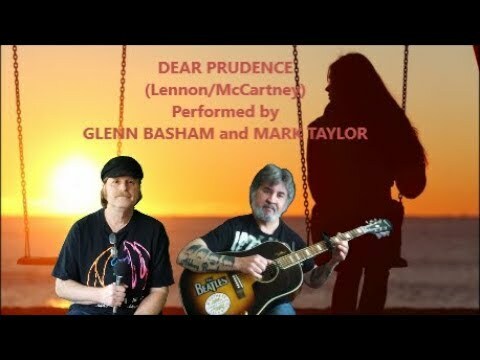 Girl - (Beatles cover) by Glenn Basham and Mark Taylor Hi everyone! 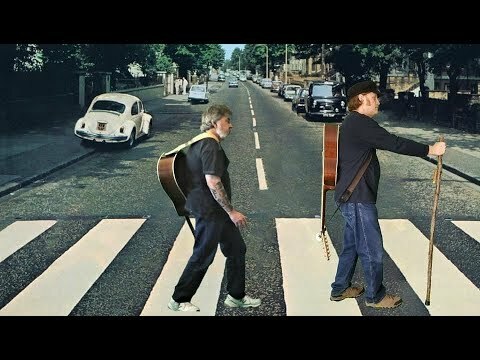 Mark and I are back with another rendition of another Beatles song. Thanks for listening! We hope we passed the audition! 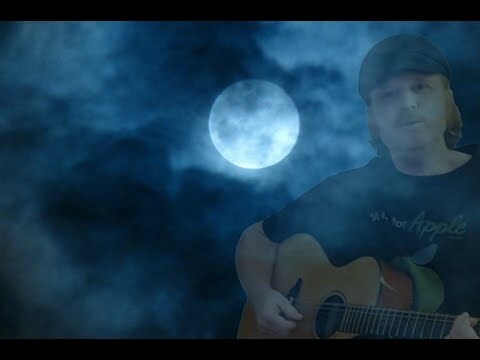 Misty Moon - Glenn Basham and friends Here is an original song that I wrote in 1983 and recorded on a cassette that year. (Remember cassettes? Ha ha!) I thought that the recording was decent, so I decided to make a video for it and post it.. I played guitar and did the vocals on this one. I am joined on this recording with my brother Mark Basham who plays drums and his friend Dennis Brennan who plays vibes. Hope you enjoy this blast from the past! Something - (Beatles cover) by Glenn Basham and Mark Taylor Mark and I are back with our rendition of "Something" by The Beatles, which was composed by George Harrison. Mark plays both lead and rhythm guitar. Glenn does the vocals and plays bass and drums. Thanks for listening! 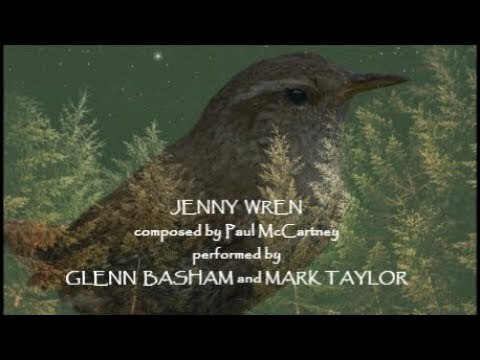 Jenny Wren - (Paul McCartney cover) by Glenn Basham and Mark Taylor Mark and I are back with our rendition of a Paul McCartney song called "Jenny Wren". Mark plays all the instruments and Glenn does all the vocals. I can picture Mark and I playing and singing this one around a campfire. Too bad that we live so far away from each other. We hope that you enjoy our rendition. Thanks for listening. Have a great day, everyone! 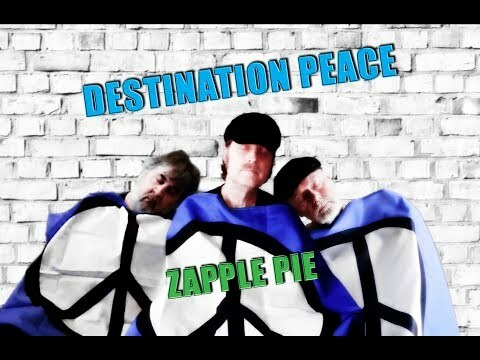 Destination Peace - Zapple Pie (Glenn Basham, Yvalain Debodinance and Mark Taylor) Zapple Pie is back with another original song. This one was written by Glenn Basham. Mark plays lead guitar, Yvalain plays acoustic guitar and bass and Glenn does all the vocals on this recording. Production, strings and drums arrangements are by Yvalain. 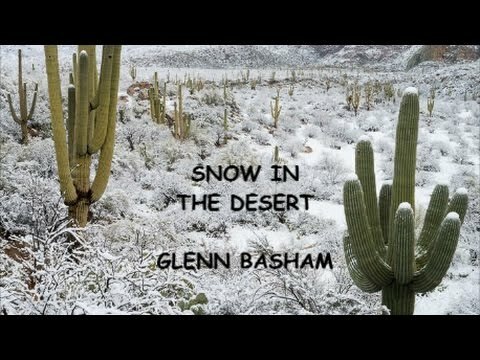 The concept for this song came to Glenn in a dream. Hopefully someday, world peace will become a reality. Thanks for listening to our song of peace. 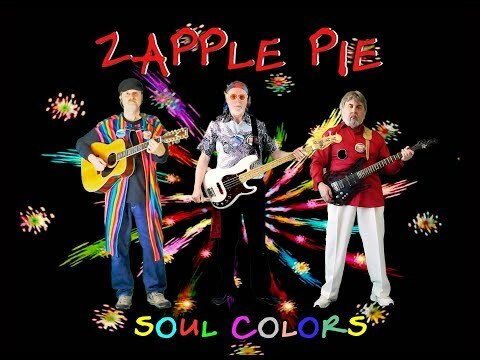 Soul Colors - Zapple Pie (Yvalain Debodinance, Glenn Basham and Mark Taylor) Zapple Pie is back with another original tune. This song was composed by Yvalain with Mark on lead guitar, Glenn on all vocals and Yvalain on bass, guitars, keyboards and drums arrangement. The final mix and video was produced by Yvalain! We hope you enjoy this colorful production! Thanks for listening! 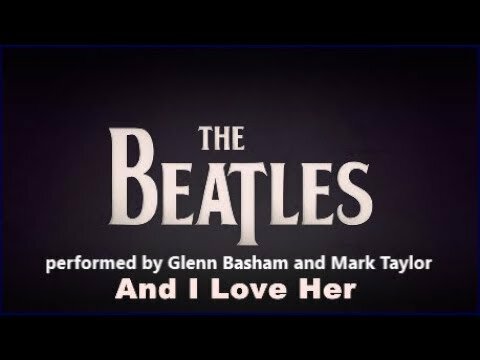 And I Love Her - (Beatles cover) by Glenn Basham and Mark Taylor I asked Mark if he would like to collaborate with me and do our rendition of this Beatles tune and he agreed. This is our cover of "And I Love Her". Mark plays lead and rhythm guitar and Glenn does the vocals, plays bass guitar and percussion. Mark and I are big Beatles fans! We hope you enjoy our rendition of this classic tune! 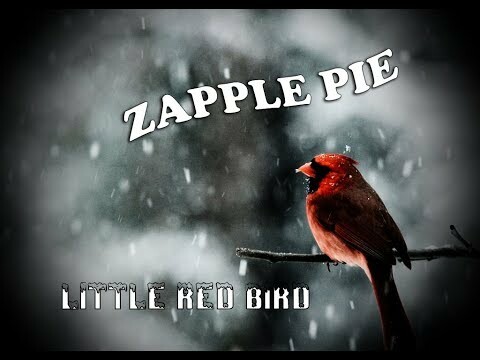 Little Red Bird - Zapple Pie (Glenn Basham, Yvalain Debodinance and Mark Taylor) Zapple Pie is back with another original song. This one was composed by Glenn Basham with Glenn on all vocals, Mark on lead guitar and Yvalain on bass, guitar and orchestration. The audio and video production is by Yvalain. We hope you enjoy it! Have a zappley fantastic day! 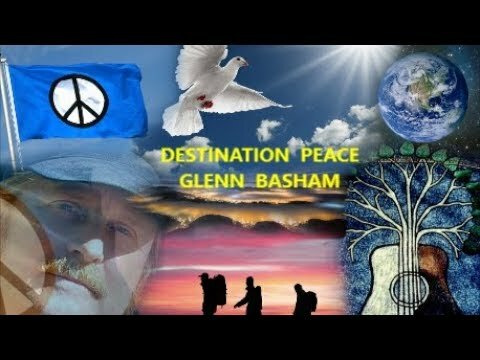 Destination Peace - Glenn Basham "Destination Peace" is a new song that I have composed that was inspired by a dream that I recently had. In the dream, me and my two friends (Yvalain Debodinance and Mark Taylor) were hiking on foot for many miles, trying to find a special place that we had heard about where everyone is free and where everyone takes care of each other and the environment. It is basically "heaven on earth". As the dream continues, the sun is starting to go down and we finally see this beautiful city on the horizon, where the only flag flown is the flag of peace. At that point I woke up and realized that it was a great concept for a song! The verses describe the dream. The chorus is a request to everyone to do their part to bring about peace in this troubled world. Hopefully, someday peace can exist everywhere on the earth. I know it's a dream, but I am a dreamer. The video contains photos, photo collages that I have made and also some film footage from two films, courtesy of Vimeo.com. The films are : "Helvetia:The Great Switzerland" by Peter R. and "Zu nachtschlafender Zyt / Bern Hyperlapsed" by stadium-punctum. 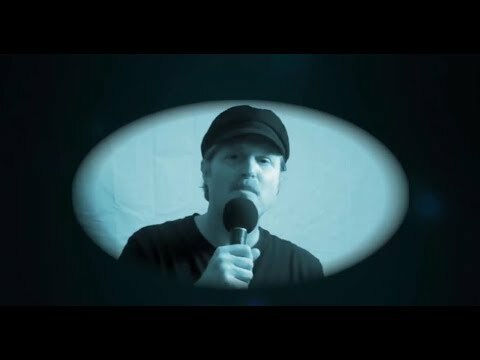 I dedicate this song and video to my two bandmates from our group "Zapple Pie", Mark Taylor and Yvalain Debodinance. I hope that you enjoy my song of peace. 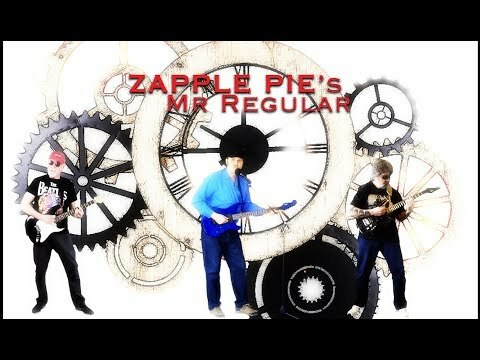 Mr Regular - Zapple Pie (Yvalain Debodinance, Glenn Basham and Mark Taylor) Zapple Pie is back with an original rocker. This song was composed by Yvalain. Mark plays lead guitar, Glenn is on vocals and Yvalain plays guitar, bass guitar and drums arrangement. Yvalain also did the audio and video production. We hope you enjoy our latest slice of music! Thanks for listening! 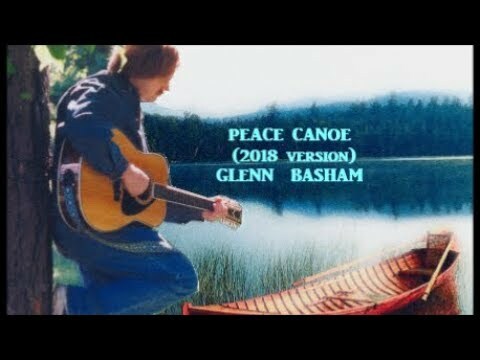 Peace Canoe (2018 version) - Glenn Basham I went back into my archives and pulled out this original song of mine that I composed in 2003. I decided to rewrite some of the lyrics and make it more of a romantic song. Next, I made a new recording of the song. So here it is, my new 2018 version. Take a step into my "Peace Canoe"! 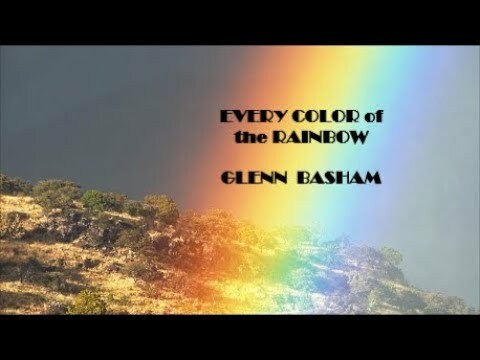 Every Color of the Rainbow - Glenn Basham I was going into my archives again and recently pulled out this original of mine from 1996. Recently, I rewrote some of the lyrics to this song. I pulled out a 2009 recording of it and recorded the vocal lyrical changes, keeping the instrumental background the same, instead of recording everything all over again from scratch. So here is my 2018 updated version of my original song called "Every Color of the Rainbow". Thanks for listening. Have a great weekend, everyone! 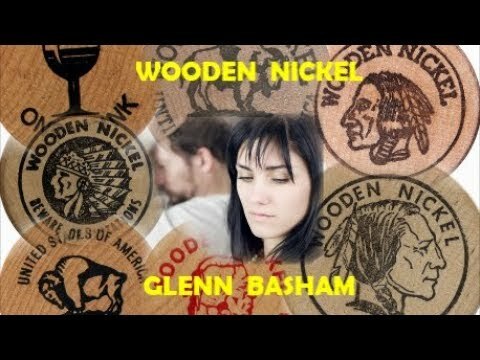 Wooden Nickel - Glenn Basham I decided to go back into my archives. Here is a song that I wrote back in 1982 called "Wooden Nickel". The inspiration for this song came from simply obtaining a wooden nickel. I thought it was kind of cool, even though I knew it wasn't worth anything. The next thing I knew I was composing this song! It's funny where inspiration comes from sometimes! This particular recording of the song was done in 2009. Recently, I decided to make a slide show music video for it, so I could post it. 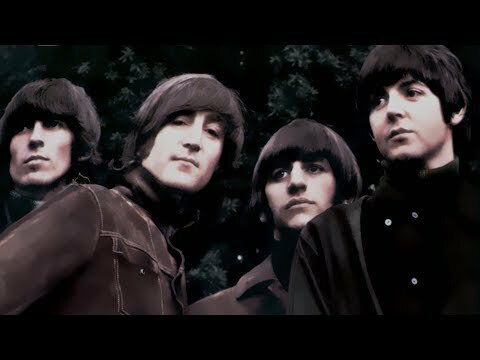 As far as the melody and music go, I was inspired by The Beatles. The inspiration for the loud and overly emphasized drums came from listening to songs like "I Dig Love" by George Harrison, which was on his "All Things Must Pass" album. While making the video, I also included some photos of myself from the early and mid eighties. It was a fun trip down memory lane! 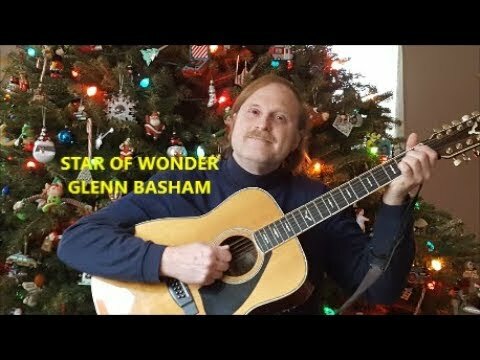 Star of Wonder - Glenn Basham I know that Christmas is over, but I wanted to play a song by my tree, before it came down. That's right, my tree was still up! I have a strange tradition of playing a song by the Christmas tree every year before it comes down! I could not sing during the holidays, because I developed a bad cold and lost my voice at Christmas. I am finally getting my voice back, even though it's not 100 percent yet. I knew I needed to film this quickly, because the tree is coming down! Back in 1987 at Christmas time, I was playing around with some chords that I like and for some strange reason, I started to sing the words of "We Three Kings of Orient Are" to my own melody. I called my version "Star of Wonder". I revisited that song recently. I kept the first verse and chorus of "We Three Kings", but wrote words of my own for the last two verses. The original "We Three Kings" was written in 1857 by John Henry Hopkins Jr.. My version called "Star of Wonder" was filmed live. The only thing I did was add some visual effects to the film, just for fun. Hope you enjoy my version. Maybe someday I will record a studio version. Okay folks, now it is time to move on to Valentine's Day! Ha ha! 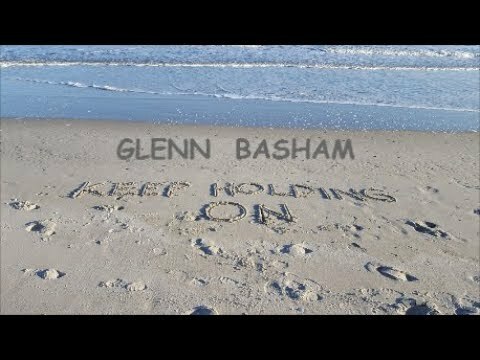 Keep Holding On - Glenn Basham Here is my first post for 2018. "Keep Holding On" is an original of mine that I wrote and recorded back in 2014. I recently decided to make a slide show music video for it. Happy 2018, everyone! Thanks for listening! 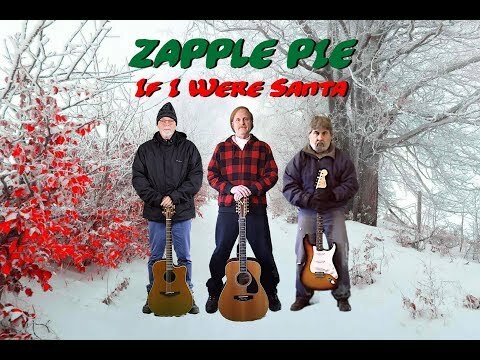 If I Were Santa - Zapple Pie (Yvalain Debodinance, Glenn Basham and Mark Taylor) Zapple Pie is back with a new original Christmas song. Yvalain composed the music and Glenn wrote the lyrics. Mark added some great lead guitar work and harmonica, while Glenn provided the vocals and Yvalain supplied all the other instruments. We hope that you enjoy our slice of Christmas pie. Merry Christmas to all from Zapple Pie! 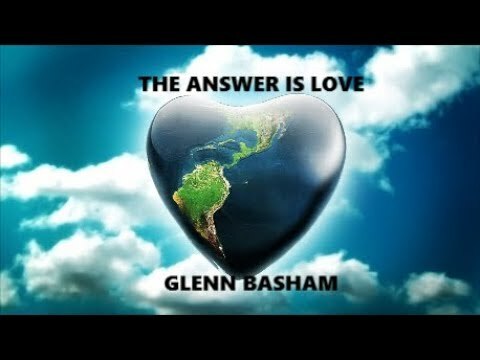 The Answer Is Love - Glenn Basham I went back into my archives, which I do every now and then, to post an original from my past. Here is a short little song about love that I wrote in 2014. Love is certainly something that we could use more of in this world today. So, I quickly put this slide show music video together for this tune the other day. Hope you enjoy it. Happy listening. 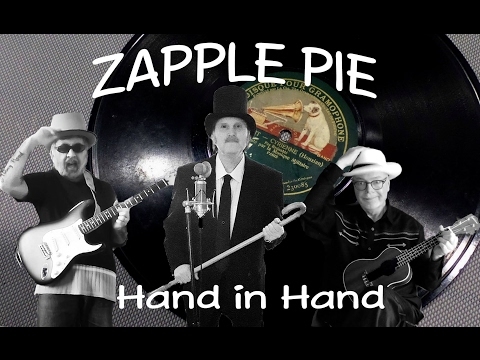 Pieces - Zapple Pie (Yvalain Debodinance, Glenn Basham and Mark Taylor) Zapple Pie is back with a promo video for our new album called "Pieces of Zapple Pie". The video contains samples of the 15 songs that are on the album with some rare film footage of the group. It is like a visual musical scrapbook of Zapple Pie of all that we have done during the year. We hope that you enjoy it! 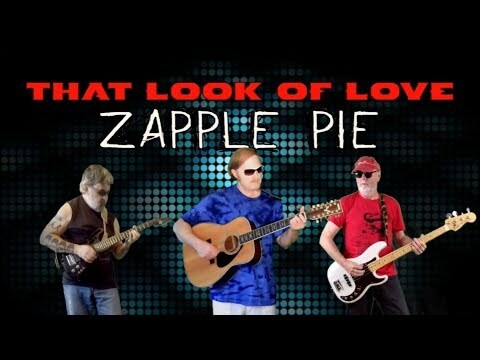 That Look of Love - Zapple Pie (Glenn Basham, Yvalain Debodinance and Mark Taylor) Zapple Pie is back with another original tune. This song was composed by Glenn with Mark on lead guitar, Glenn on vocals and Yvalain on guitar, bass and programing of electric piano and production. The drums were created using Band in a Box's real drum samples. This song is from our new album "Pieces of Zapple Pie" available in all known online music stores. We hope you enjoy it. Thanks for listening. 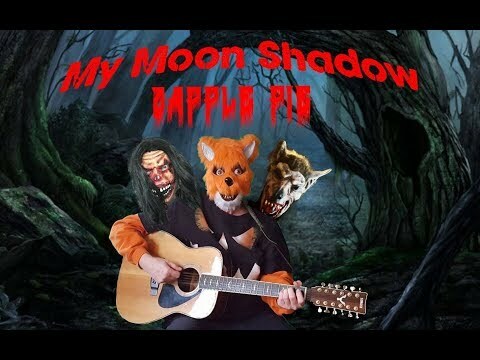 My Moon Shadow - Zapple Pie (Glenn Basham, Yvalain Debodinance and Mark Taylor) Zapple Pie is back with an original Halloween song composed by Glenn Basham. Mark Taylor plays lead guitar, Glenn does all the vocals and Yvalain plays bass, guitar, strings and drums. Zapple Pie wishes everyone a Happy Halloween! We hope you enjoy this slice of Halloween pie! 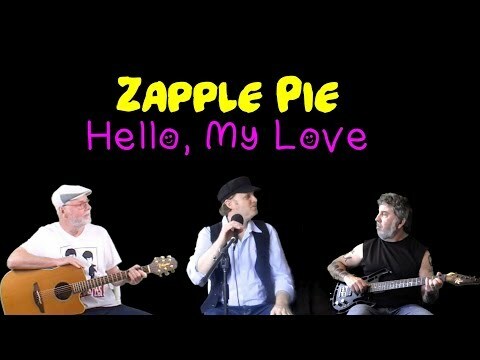 Hello, My Love - Zapple Pie (Yvalain Debodinance, Glenn Basham and Mark Taylor) Zapple Pie is back with a new original song with music composed by Yvalain and words written by Glenn. Mark plays lead guitar, Glenn does the vocals and Yvalain plays guitar, bass and did the audio and video production. Come to the studio and listen to us perform! Have a great day everyone! 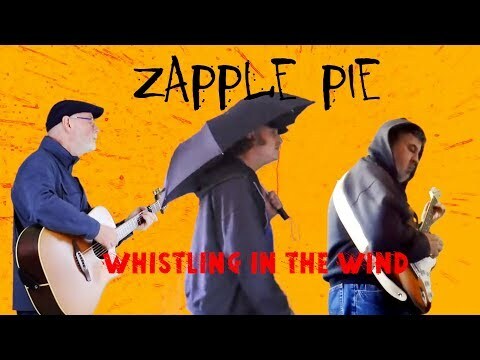 Whistling In The Wind - Zapple Pie (Yvalain Debodinance, Glenn Basham and Mark Taylor) Zapple Pie is back with another original. Yvalain composed the music and Glenn created the lyrics for this song. Mark plays lead guitar, Glenn sings all the vocals and Yvalain plays bass, and acoustic guitar. Yvalain is also the mystery whistler! The drums were created with Band In A Box. The background video was borrowed from vimeo.com called "Muse of the Wind".by Fiev. An overall production by Yvalain. Thanks for tuning in! 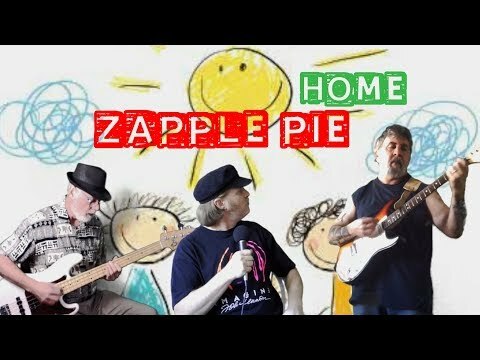 Home - Zapple Pie (Yvalain Debodinance, Glenn Basham and Mark Taylor) Zapple Pie is back with another original song. This particular song was composed by Yvalain and has an important message about the need for all of us to have a place we call "home". This music video is our first experience with using a "green screen" which allows us many creative possibilities! We hope you enjoy our newest song and video. Thanks for watching. 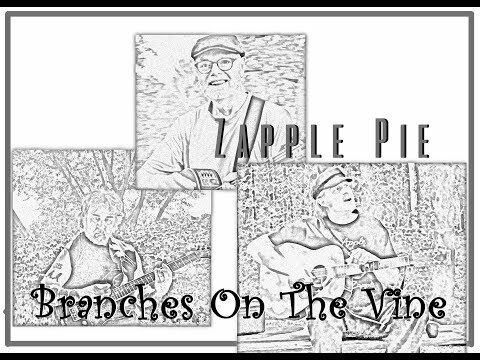 Branches on the Vine - Zapple Pie (Glenn Basham, Yvalain Debodinance and Mark Taylor) Zapple Pie is back! Here is our new original composed and sung by Glenn Basham with Mark Taylor on lead guitar and Yvalain Debodinance on bass, guitars and drums and synths programming. The final audio mix and video production was done by Yvalain. We hope you enjoy it. Thanks for listening. 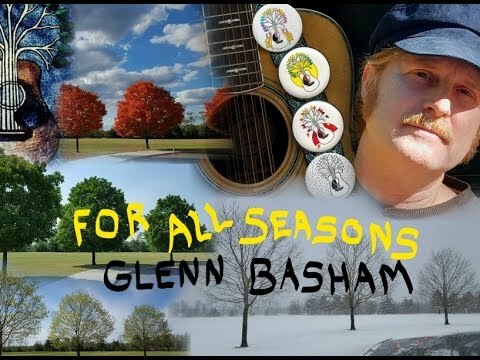 For All Seasons - Glenn Basham Here is an original song that I wrote back in 1997 called "For All Seasons". It is the last song on my CD called "Seasons of the Heart" that I recorded in 2010. I recently decided to make a video for this song. Hope you enjoy it and I hope you are enjoying whatever season of your life you are in right now. Thanks for listening. 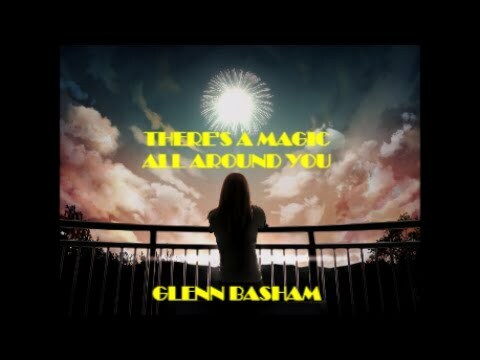 There's A Magic All Around You - Glenn Basham Here is an original song that I wrote and recorded in 2014. I decided to make a music video for it using home movies of 4th of July fireworks at Atlantic City, New Jersey back in 2011. Hope you enjoy the fireworks and the song! Have a great weekend! 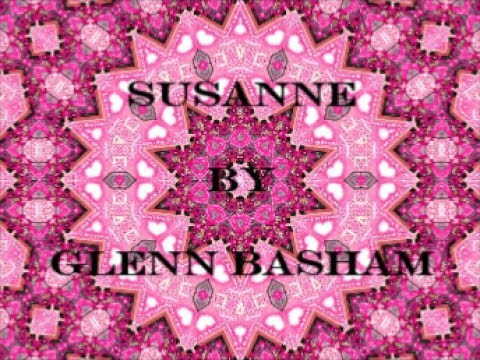 Susanne - Glenn Basham "Susanne" is one of my earliest originals going way back! I was influenced by early Beatle tunes like "love Me Do". So, I purposely wrote very basic lyrics with lots of oo-woos and oh-wohs. It is definitely not real deep and may sound a little dated now, but I still like it. I like the melody and groove, so I decided to post it. The video consists of kaleidoscope images created by Xxzzxcut and Raluca Buta, courtesy of Vimeo, com, Hope you enjoy it. Thanks for watching. 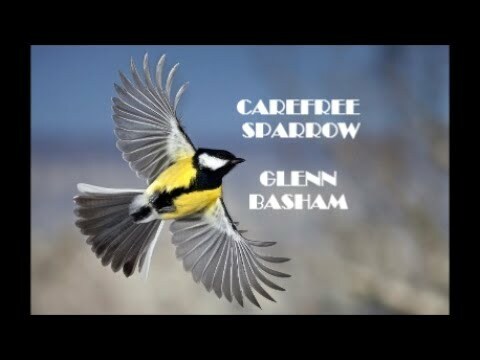 Carefree Sparrow (Studio Version) - Glenn Basham Here is a song that I created back in 1992. I recently did a multi track recording of it and made a video for it last weekend. The idea for the song came to me one day as I was watching a bird through a window as I was sitting in my parked car during my lunch break. Thanks for listening. May you have a carefree day! 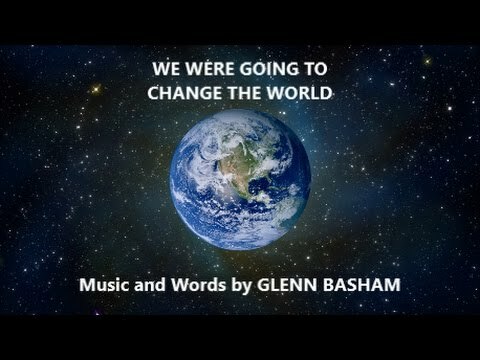 We Were Going To Change The World - Glenn Basham This is an original song that I created and recorded back in 2014. I finally got around to making a music video for it. If you are from the "baby boomer generation" like me, you might be able to relate to the words! Ha ha! Thanks for listening. 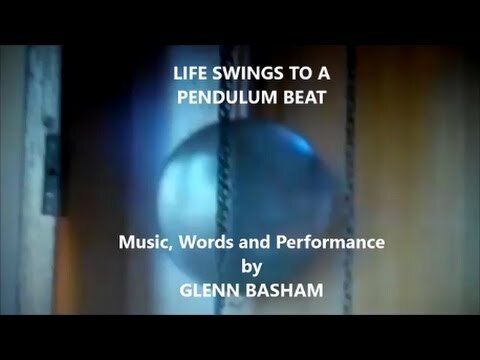 Life Swings To A Pendulum Beat / Grandfather Clock - Glenn Basham Here are a couple of songs that I created back in 1978 and recorded in 2009. 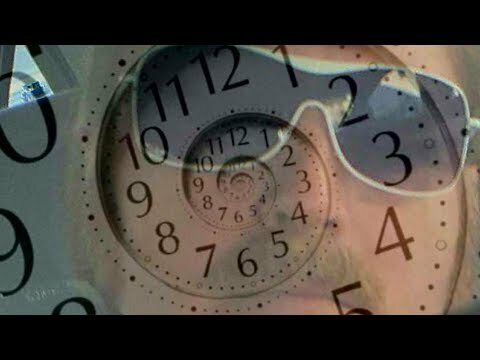 I made the video and posted "Grandfather Clock" in the past, but I made the video for "Life Swings To A Pendulum Beat" last weekend. I thought that the two songs went well together, so here they are! Thanks for listening! 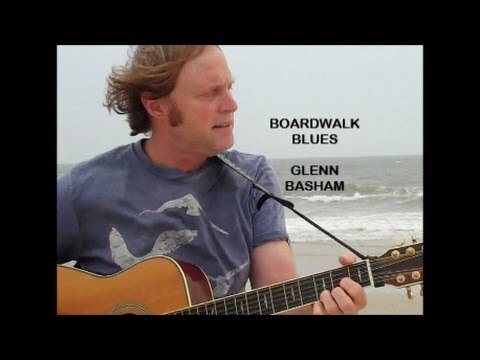 Boardwalk Blues - Glenn Basham Here is an old original tune that I wrote back in 1976. It is one of my earliest songs. It is called "Boardwalk Blues". This particular recording of it was done in 2009. I felt like posting something, so I gathered together some home movie footage I had and quickly made this music video for Blues Thursday! Thanks for listening! 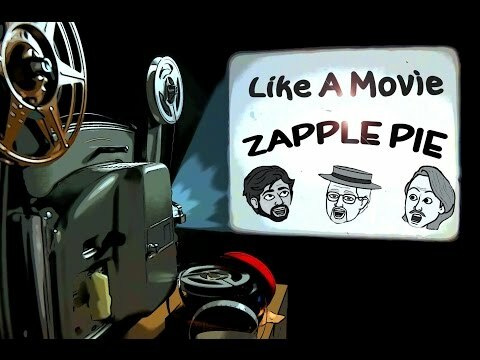 Like A Movie - Zapple Pie (Yvalain Debodinance, Glenn Basham and Mark Taylor) Zapple Pie is back with a new tune. This song was composed by Yvalain and the words were written by Glenn. On this recording, Mark plays lead guitar, Glenn does the vocals and Yvalain plays acoustic and electric guitars, bass and drums programming. Thanks for listening! 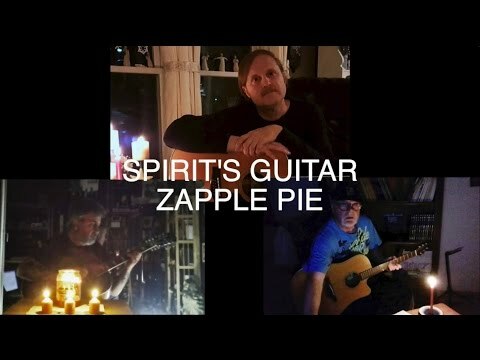 Spirit's Guitar - Zapple Pie (Mark Taylor, Glenn Basham and Yvalain Debodinance) Zapple Pie is back with their newest tune. The instrumental music was written by Mark Taylor. The vocal melody and words were created by Glenn Basham. On this recording, Mark plays guitar, Glenn is on vocals and Yvalain is on guitar and arrangements. Thanks for listening! 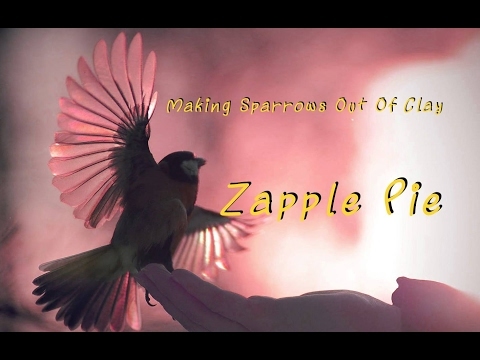 Making Sparrows Out Of Clay - Zapple Pie (Glenn Basham, Yvalain Debodinance and Mark Taylor) Here is a song I wrote back in 2009. 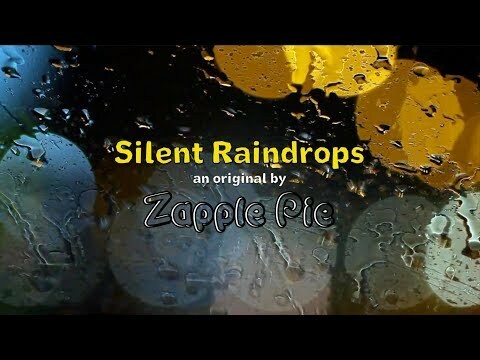 My friends, Yvalain and Mark, heard it and liked it, so we decided to record Zapple Pie's version of it. Mark Taylor plays lead guitar on this version. Yvalain plays bass, guitar, arrangement (drums and mellotron) and production. I sang the lead vocal and all the harmony vocals. We hope you enjoy it. Thanks for listening! 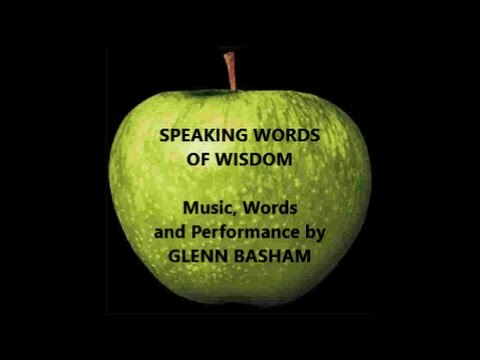 Speaking Words of Wisdom - Glenn Basham Here is a song that I composed last year in January of 2016. I was busy trying out a new guitar pedal that I received from that Christmas in 2015, when I created the tune. 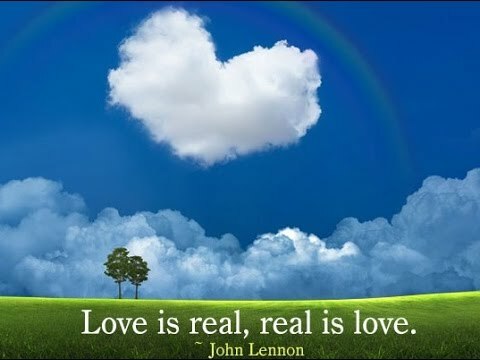 The lyrics contain many famous quotes by John Lennon. This song is my tribute to John. 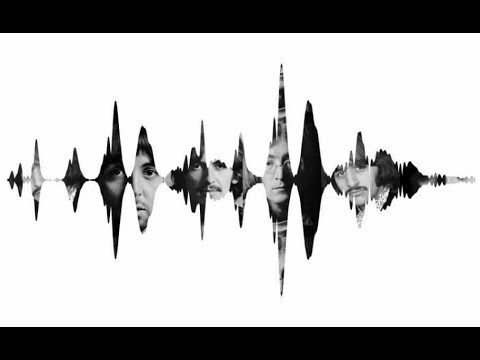 The title of the song, "Speaking Words Of Wisdom", happens to be a phrase contained in a line of a famous song written by Paul McCartney called "Let It Be". Happy New Year, everyone! Thanks for listening. 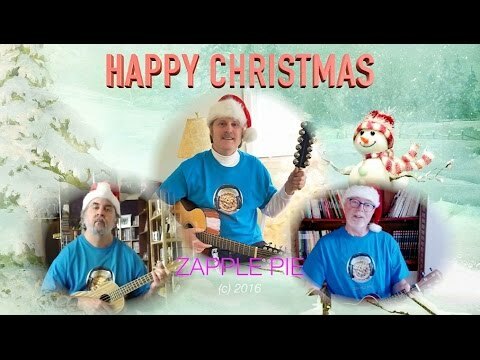 Zapple Pie's Second Christmas Message (2016) - Zapple Pie Here is Zapple Pie's video Christmas card for 2016. Glenn, Yvalain and Mark wish everyone a very Merry Christmas and a Happy New Year! Thanks for supporting us throughout all of 2016! Winter Holiday - Zapple Pie ( Glenn Basham, Yvalain Debodinance and Mark Taylor ) Here is a new Zapple Pie song written and composed by Glenn with Glenn on all vocals, Mark on lead guitar and Yvalain on guitar, bass, drums and synth programming. Zapple Pie wishes everyone a Merry Christmas, a wonderful winter holiday and a Happy New Year! Thanks for listening! 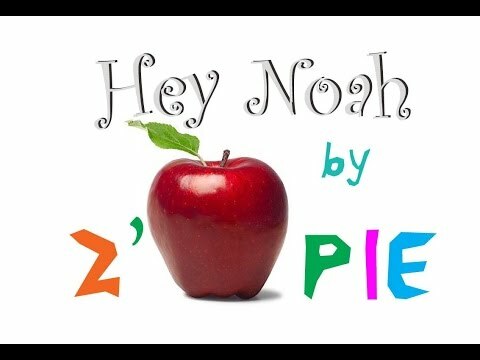 Hey Noah - Zapple Pie (Yvalain Debodinance, Glenn Basham and Mark Taylor) Here is a new song by Zapple Pie. Yvalain composed the music and Glenn wrote the lyrics. Glenn sang all the vocals, Mark played lead guitar and Yvalain played guitar, bass guitar and arrangements. We hope you enjoy our new slice of music! 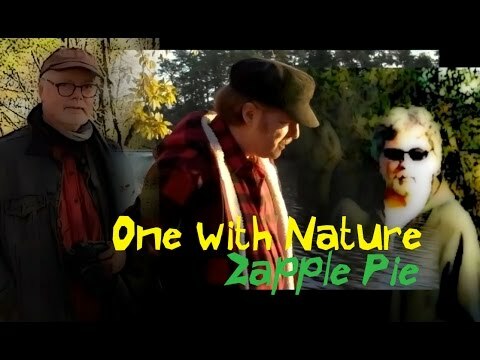 One With Nature - Zapple Pie (Glenn Basham, Mark Taylor and Yvalain Debodinance) Here is a new original by the three of us. Glenn took an original instrumental composed by Mark and created a vocal melody for it and lyrics. Glenn added vocals to it. Next, it was presented to Yvalain, who added more guitar, bass guitar and synth to it. Yvalain made the final mix, resulting in this new song by Zapple Pie. We hope you enjoy it. Thanks for listening! 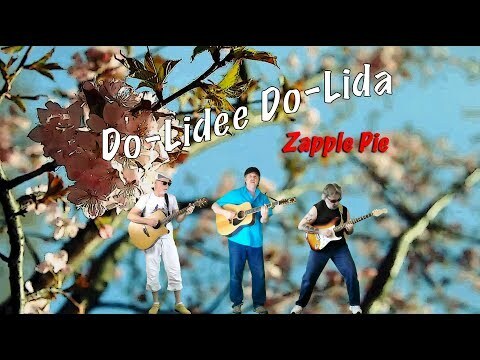 Desiree (Halloween 2016 Remix) - Zapple Pie (Yvalain Debodinance, Glenn Basham and Mark Taylor) Happy Halloween from Zapple Pie! 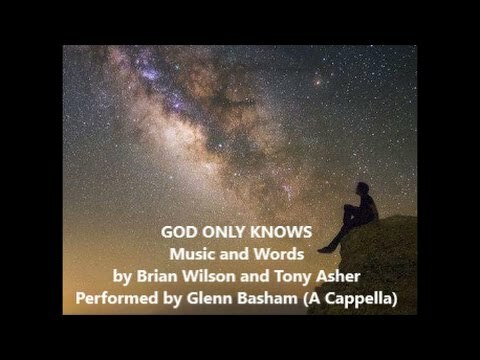 God Only Knows (Brian Wilson and Tony Asher cover) - Glenn Basham I have always wanted to sing "God Only Knows" which is a brilliant song written and composed by Brian Wilson and Tony Asher. It is my favorite song by The Beach Boys. Just for fun, I decided to sing it A Cappella. To make up for the missing instruments and orchestration in the background, I substituted vocals instead, which made it a rather strange recording, but a fun challenge! I hope you have fun listening as well! 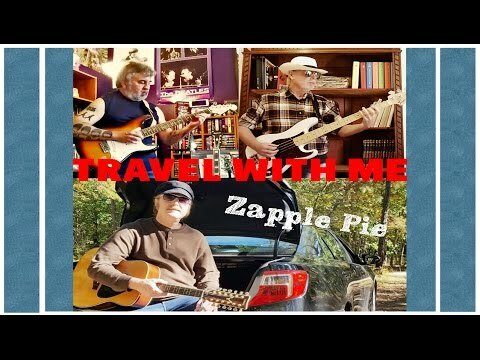 Travel With Me - Zapple Pie (Glenn Basham, Yvalain Debodinance and Mark Taylor) Here is a new slice of original music by Zapple Pie with music and words created by Glenn. On this recording, Mark plays lead guitar, Yvalain plays bass guitar, rhythm guitar and production and Glenn does the vocals and plays acoustic guitar. Thanks for listening! 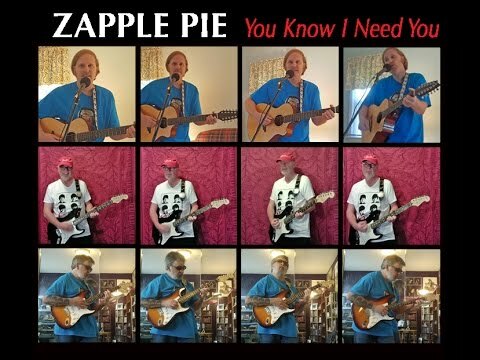 You Know I Need You - Zapple Pie (Yvalain Debodinance, Glenn Basham and Mark Taylor) Zapple Pie is back with a new original with music composed by Yvalain and words created by Glenn. 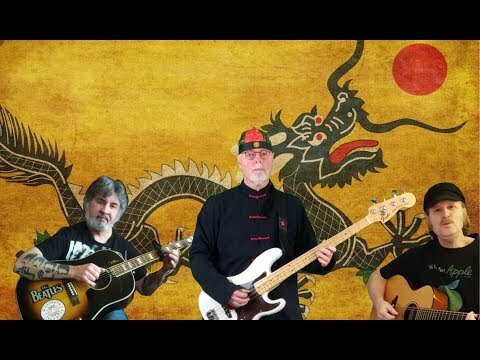 Mark Taylor plays lead guitar, Glenn is on vocals and Yvalain is on bass, rhythm and lead guitar. Final audio mix and video is produced by Yvalain. Thanks for listening. 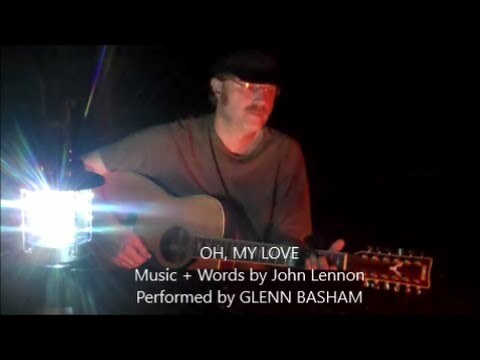 Oh, My Love (John Lennon cover) - Glenn Basham I felt like posting something live today, nothing fancy, just me and my guitar. This is me around the campfire, less than two weeks ago, performing a John Lennon song. The crickets and insects were very loud that evening! Maybe they were trying to sing with me! Ha ha! Thanks for listening. 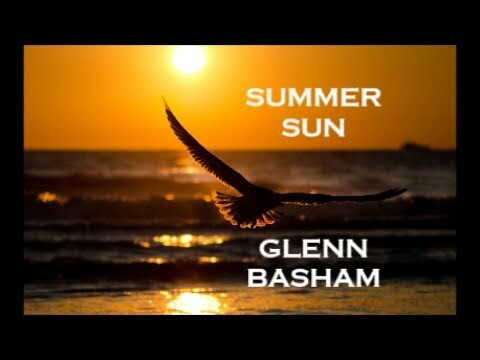 Love (John Lennon cover) - Glenn Basham Here is my demo of John Lennon's song called "Love". This is another song that I performed at my son's wedding on the beach last month. Hope you enjoy it. Thanks for listening. 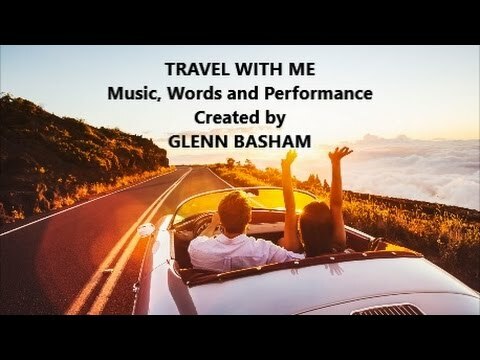 Travel With Me - Glenn Basham Here is a demo of a new original song I created last month. Hope you enjoy it. Thanks for listening! 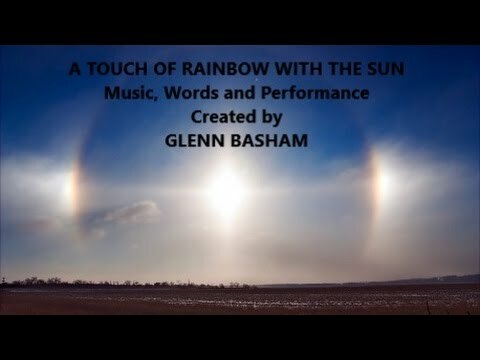 A Touch Of Rainbow With The Sun - Glenn Basham I created this song for my son Adam and his wife Juli. It was my gift for them for their wedding. I decided to create it, when they asked me to perform at their wedding, which took place on the beach two weeks ago. I got the idea for the song, when I opened the door one day and saw a partial rainbow around the sun. It inspired me! I played the song at the wedding, which turned out to be a beautiful event! May Adam and Juli have a wonderful life together ! Ovation Highway (Zapple Pie album promo) - Zapple Pie The group prepared this special compilation of the songs that compose their new album. We hope that our listeners will visit the links here below to enjoy the whole set of songs. there are 2 links: - https://www.jamendo.com/album/158961/ovation-highway for free listen and download, you can also leave comments there, - https://yvalain.bandcamp.com/album/ovation-highway to enjoy this album in High Definition. Thank you for all your great support. 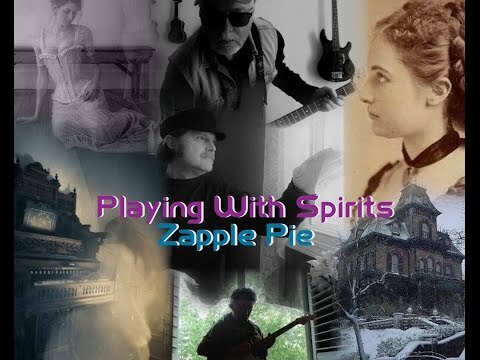 Playing With Spirits - Zapple Pie (Glenn Basham, Yvalain Debodinance and Mark Taylor) "Playing With Spirits" is an original by Zapple Pie, written and composed by Glenn Basham with Glenn Basham on vocals and acoustic guitar, Mark Taylor on lead guitar and Yvalain on bass and orchestration. An audio and video production by Yvalain. Contains some video footage from vimeo.com. Many thanks to the authors. Hope you enjoy our "haunted" tune! Thanks for stopping by! 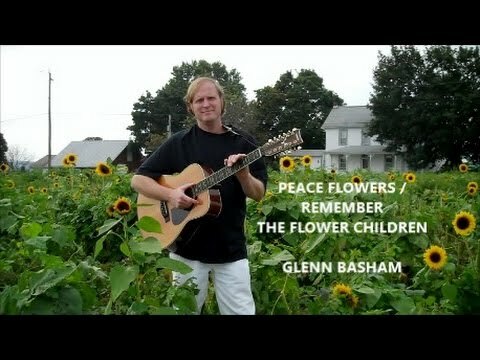 Peace Flowers / Remember The Flower Children - Glenn Basham I wrote "Remember The Flower Children" back in 1982, but was not satisfied with it. Finally, in 2011, I decided to change the chorus in the song and was much happier with the song. Next, I wrote a short song called "Peace Flowers", which I decided to use as an intro for "Remember The Flower Children". I recorded these two songs in 2011. I also recorded a CD in 2011, which I titled "Peace Flowers". Hope you like my tribute to the flower children of the sixties! Thanks for listening! 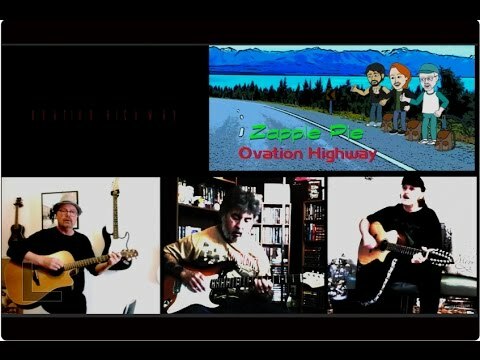 Ovation Highway - Zapple Pie (Glenn Basham, Yvalain Debodinance and Mark Taylor) Here is Zapple Pie's newest tune called "Ovation Highway" which was composed by all three members of the group. Mark provided the main theme, Yvalain added the bridge and the ending and Glenn created the vocal melody and wrote the lyrics. On this recording, Mark plays lead guitar, Glenn does all the vocals and Yvalain plays acoustic guitar, bass, drums and synths programming. 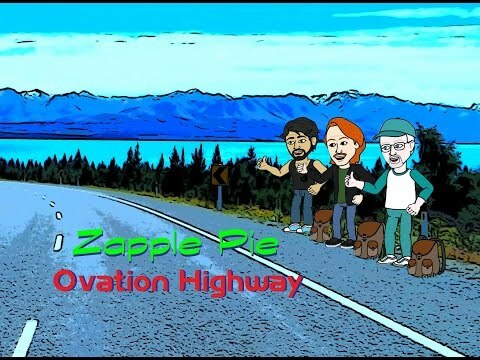 This song is from our third Zapple Pie album called "Ovation Highway". Thanks for cruising down the road with us! 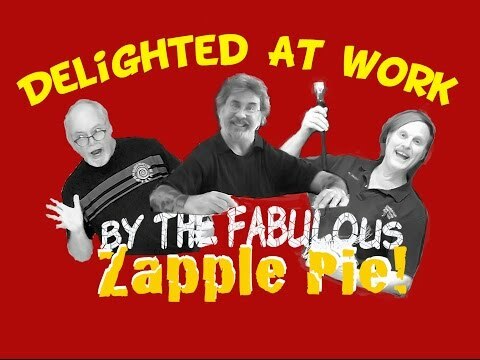 Delighted At Work - Zapple Pie (Glenn Basham, Yvalain Debodinance and Mark Taylor) Zapple Pie is delighted to share with everyone their new original called "Delighted At Work" which was written and composed by Yvalain. Glenn sings all the delightful vocals, Mark plays all the delightful guitar solos and Yvalain plays the delightful bass, guitars and synths. 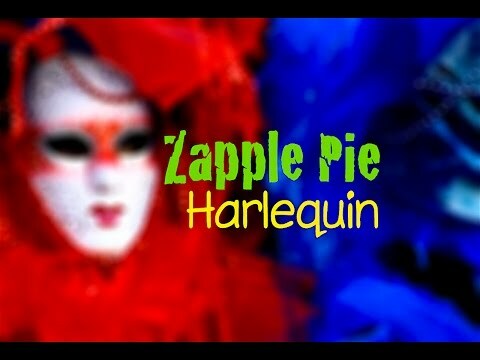 We hope you enjoy watching this zany side of Zapple Pie! 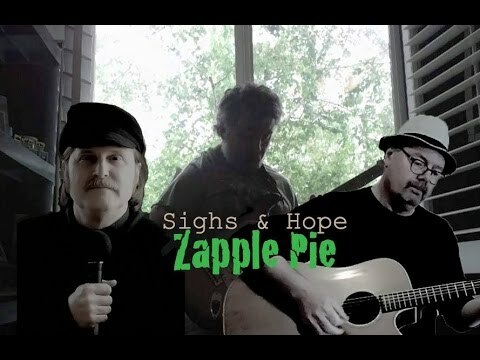 Sighs and Hope - Zapple Pie ( Glenn Basham, Yvalain Debodinance and Mark Taylor) Here is a new original by Zapple Pie, composed by Yvalain with Glenn Basham on vocals, Mark Taylor on lead guitar and Yvalain on guitars, bass and arrangements (drums and mellotron). We hope you enjoy it. Thanks for listening! 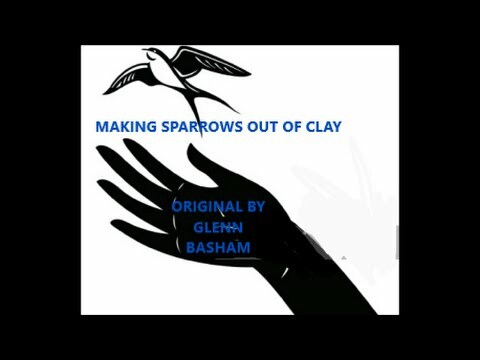 Making Sparrows Out Of Clay - Glenn Basham Here is a song that I created and recorded back in March of 2009. Yesterday, I finally got around to making a music video for it. I thought it would be a good song to post for the beginning of spring.. I hope you like it. Thanks for listening! 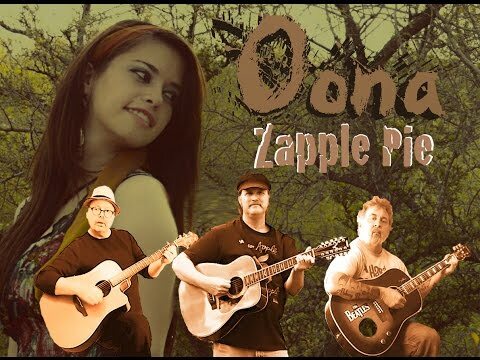 Oona - Zapple Pie (Glenn Basham, Yvalain Debodinance and Mark Taylor) Here is an original new folky tune by Zapple Pie, written and composed by Yvalain with Glenn Basham on guitar, vocals and vocal harmonies, Mark Taylor on guitar and Yvalain on guitar, bass and drums. We hope you enjoy it. Thanks for listening. 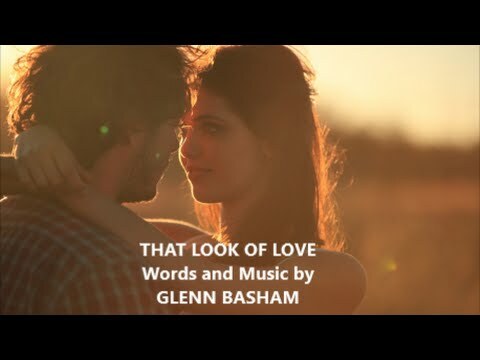 That Look Of Love - Glenn Basham Here is an original tune that I composed back in September of 2014. Thanks for listening. Have a great day, everyone! 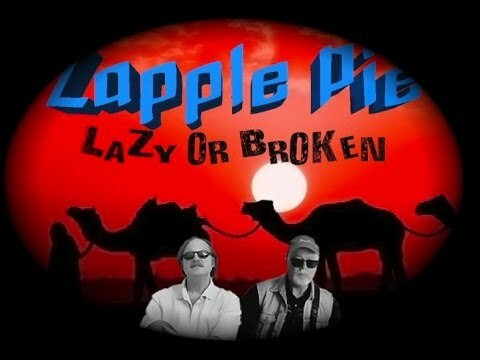 Lazy or Broken (2016 remix) - Zapple Pie (Glenn Basham, Yvalain Debodinance and Stephen Jones) This 2016 remix of Lazy or Broken has a softer sound than the original release, in compliance with the poetic mood of the lyrics. It also features a different video. We hope you enjoy it! The song was written and composed by Yvalain with Glenn on vocals, Yvalain on guitars, bass and arrangements and Stephen Jones, our guest, on lead guitar. Audio and video production by Yvalain. Thanks for listening! 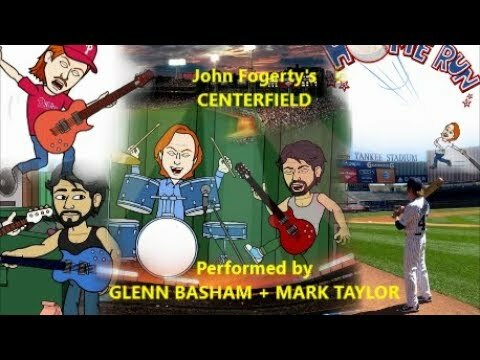 Out Of Fight ( acoustic version) - Zapple Pie (Glenn Basham, Yvalain Debodinance and Mark Taylor) Here is our stripped down, acoustic version of this tune composed by Yvalain with Glenn on vocals, Mark on electric guitar and Yvalain on acoustic guitar. We hope you enjoy it! 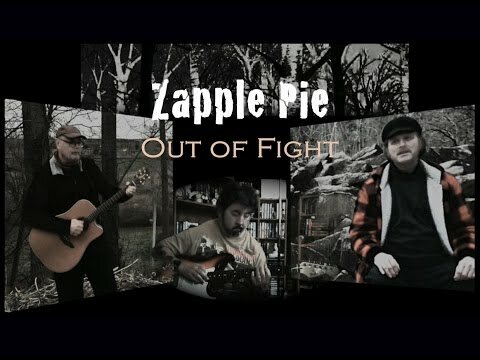 Out Of Fight - Zapple Pie (Glenn Basham, Yvalain Debodinance and Mark Taylor) Here is Zapple Pie's newest song. Mark plays lead guitar, Glenn does the vocals and Yvalain plays guitars, bass and did the arrangements. The song was composed by Yvalain. We hope you enjoy our new slice of music!